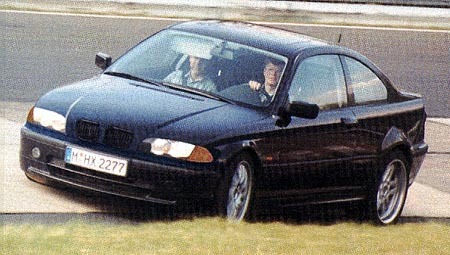 Photograph of the new BMW Compact (ti). Artist's concept of the next 6 Series. 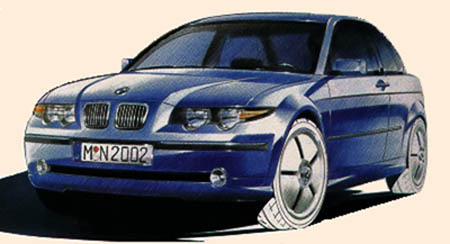 Artist's concept of the new 2002. Road and Track. Without Permission. 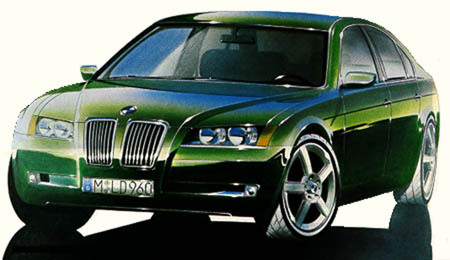 Computer enhanced rendering of next generation 7 Series. Car and Driver. Without Permission. Artist's concept of next generation 7 Series. Front view of new M3. Side view of new M3. Rear view of new M3. The sedan trim is just a ruse, this is really a coupe. 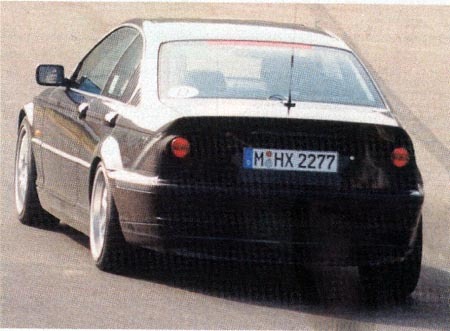 With the release of official E46 3 Series pictures, here is an artist's concept of the touring versions. 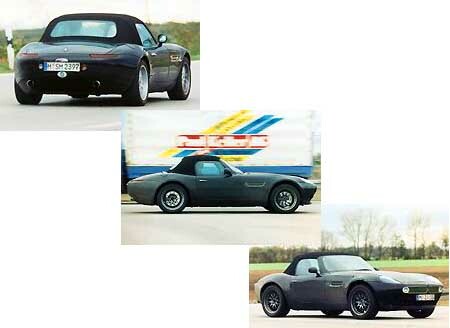 A spy shot of the Z8.